The Reds Caravan North Tour is scheduled between Thursday through Saturday, January 26-28, 2017. City stops include Columbus, OH on Thursday, January 26 from 6:00 p.m. to 8:00 p.m., Lima, OH on Friday, January 27 from 6:00 p.m. to 8:00 p.m. (5-7 pm CST), Dayton, OH on Saturday, January 28 from 10:00 a.m. to 12:00 p.m. and Hamilton, OH on Saturday, January 28 from 3:00 p.m. to 5:00 p.m. According to the Cincinnati Reds website there will be autograph opportunities plus photo booth opportunities for fans to take part. Please visit the Reds Caravan web page for complete details. 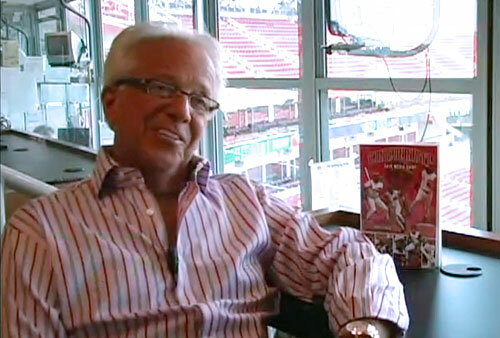 Marty Brennaman is a sportscaster who has been the radio voice of Major League Baseball’s Cincinnati Reds on the Cincinnati Reds Radio Network since 1974. Marty Brennaman has been named Ohio Sportscaster of the Year and Virginia Sportscaster of the Year multiple times by the The National Sportscasters and Sportswriters Association (NSSA). Brennaman was inducted into the Virginia Sports Hall of Fame in 1999 plus he was awarded the Ford C. Frick Award in 2000 by the National Baseball Hall of Fame.